If you are not a member of Gilt Groupe, you are really missing out. This member's only shopping site offers delish sample sales for ladies, little ones and the home and you can score some major deals as long as you buy fast. I am a daily addict, myself! 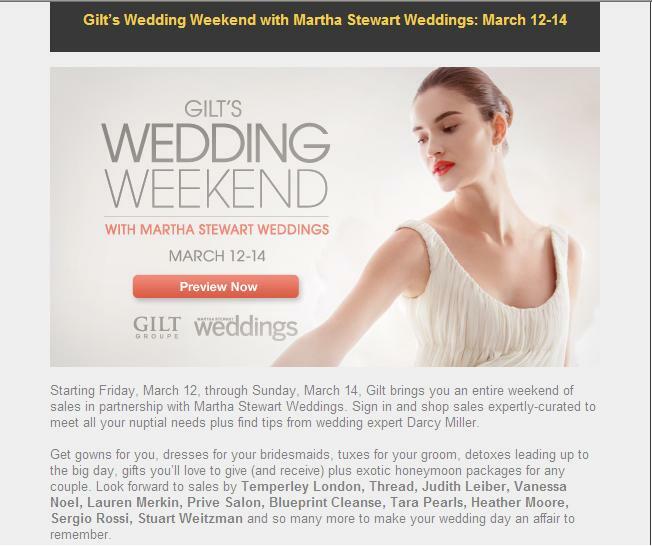 So of course I could not contain my excitement when I saw that Gilt is offering a Wedding Weekend with Martha Stewart Weddings. Definitely join today!